We provide a variety of offers and promotions. Take a look through the list to see if anything takes your fancy! 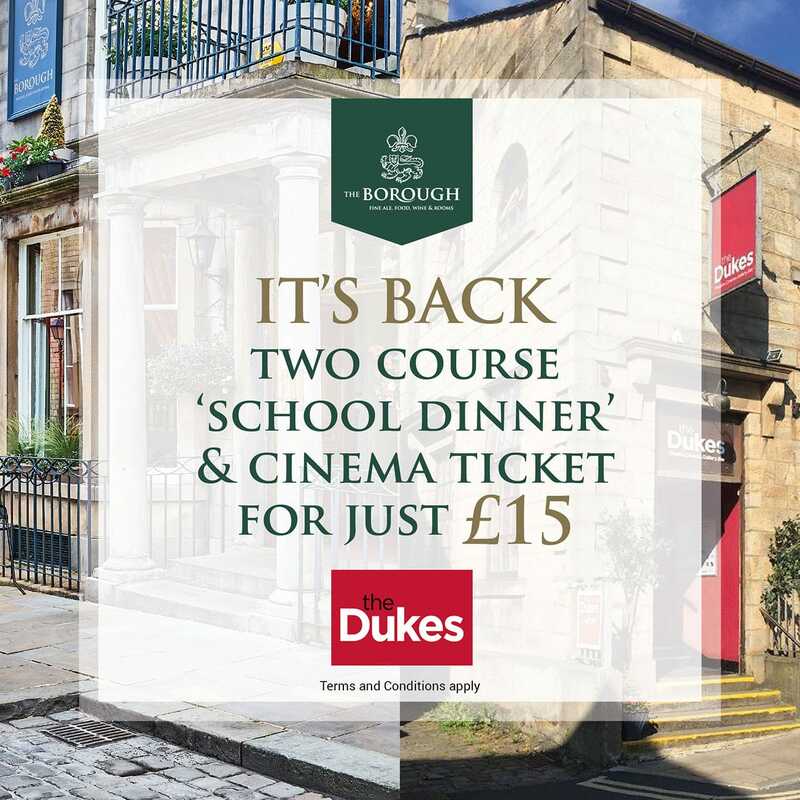 Enjoy an evening of cultural cinema and a delicious two course dinner with The Dukes and The Borough for just £15. 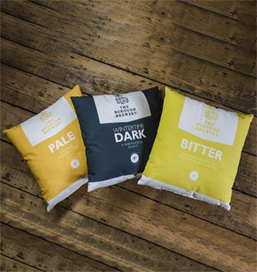 Both venues, situated in the heart of Lancaster, have come together to offer cinema goers and food lovers the chance to enjoy both in this great meal deal. 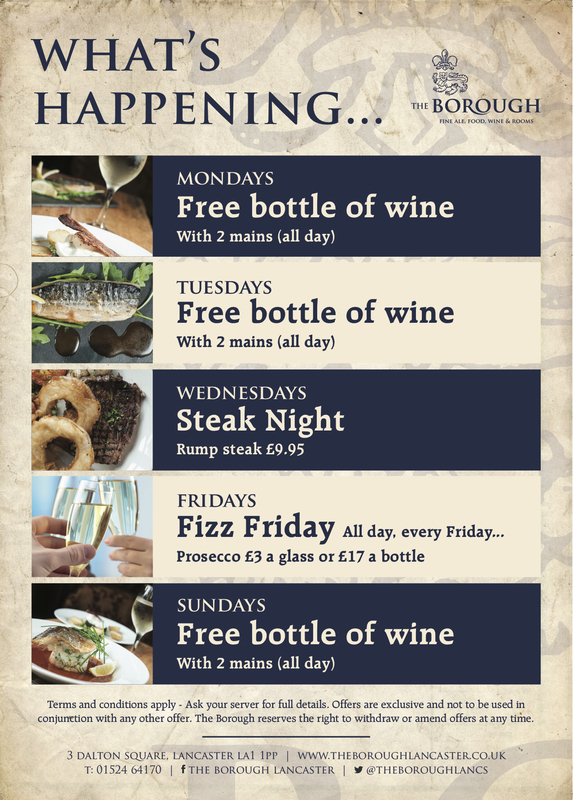 The meal deal is available 7 days a week on any cinema screening and includes 2 courses from The Borough’s ‘School Dinners’ menu. Tickets can be purchased via The Dukes either at the box office, online at www.dukes-lancaster.org (select Meal Deal option when buying your cinema ticket) or over the phone on 01524 598500. 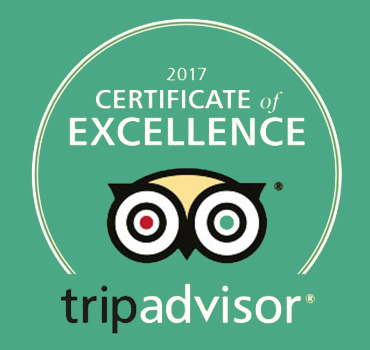 Restaurant bookings are recommended in advance and should be made online at http://www.theboroughlancaster.co.uk or by calling 01524 64170. When booking please give sufficient time to enjoy your meal before or after your screening.